The University of Idaho Argonaut carries a story about Connie Whitcomb Rosendahl, the daughter of former Grace Seminary professor, Dr. John Whitcomb who also attended Grace College. (She is also a 1982 graduate of Grace College.) For the last ten years, she has had a cookie business with her daughters. A portion of the story appears below. Click here to read the complete article. Connie Rosendahl never wanted a business. A mother of five with a working husband, Rosendahl did not have free time. Yet, one day when she and her daughters made cookies for her husband to take to work, everything changed. The cookies were loved by coworkers, who suggested she sell them at the Moscow Farmers Market. She wasn’t keen on the idea. 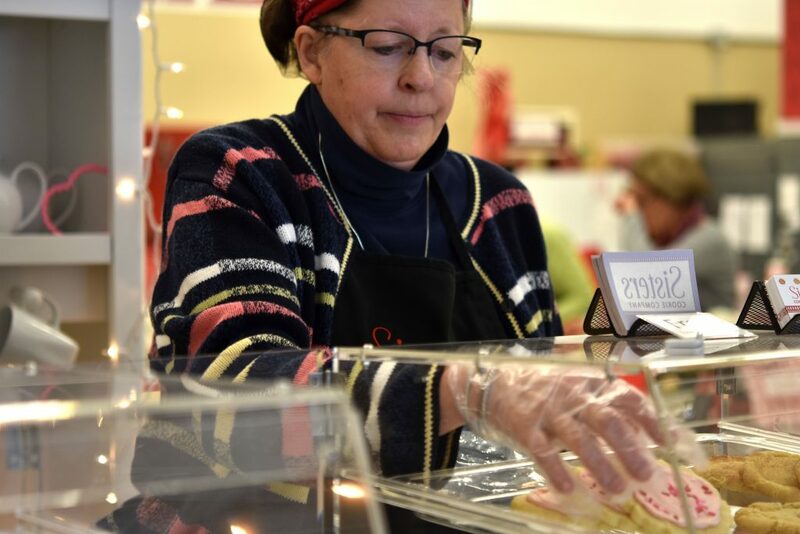 Rosendahl said she decided to sell the cookies at a children’s booth for three weeks to give her daughters an opportunity to learn more about business and give them a fun opportunity. When the third week came, the family showed up late to their booth and found a line had already formed. “If these people are counting on our cookies, I feel bad about not continuing to show up,” she said. Though Rosendahl said she may not have wanted to start a business, she is part of one now — Sisters Cookie Company, a staple in the Moscow community. Recently, they added a physical storefront on North Almon Street, allowing customers to come in and enjoy a cookie at the bakery, she said.